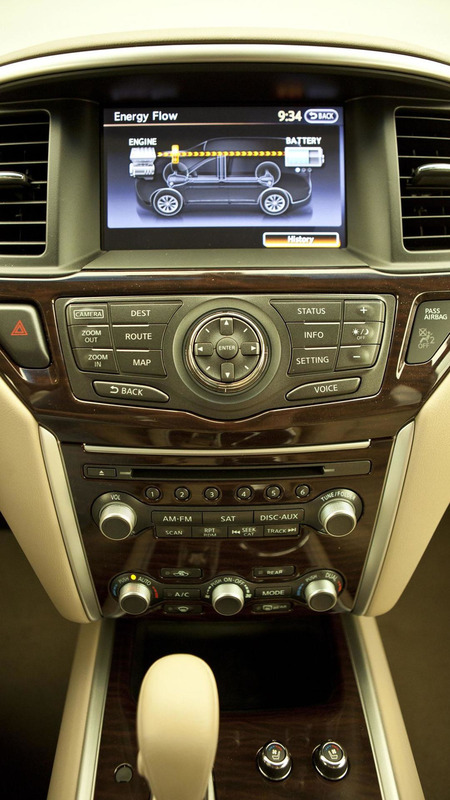 The New York Auto Show continues as Nissan has unveiled the 2014 Pathfinder Hybrid. Looking virtually identical to the standard model, the hybrid variant is distinguished by exclusive LED taillights and "PUREDRIVE" badging. The real changes occur under the hood where the 3.5-liter V6 engine has been replaced by a hybrid powertrain that consists of a supercharged 2.5-liter four-cylinder engine, an electric motor, a lithium-ion battery and a continuously variable transmission. This setup enables crossover a combined maximum output of 250 bhp (186 kW) and 243 lb-ft (329 Nm) of torque. 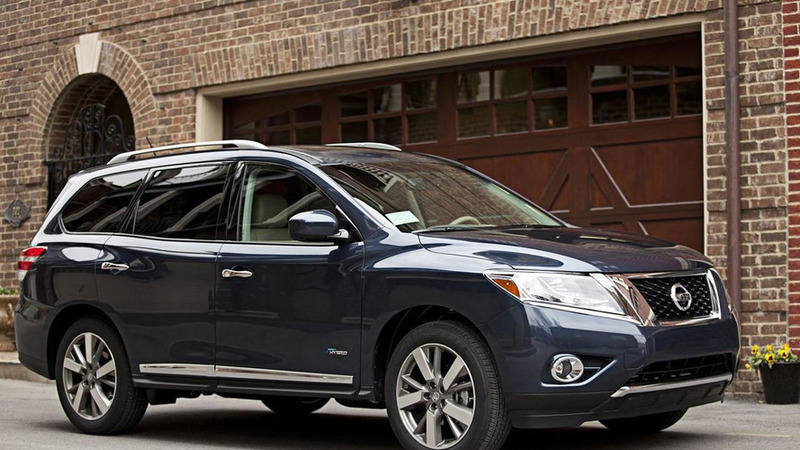 More importantly, Nissan estimates the Pathfinder Hybrid will have a combined fuel economy rating of 26 mpg (US) which is 24 percent over the standard model. 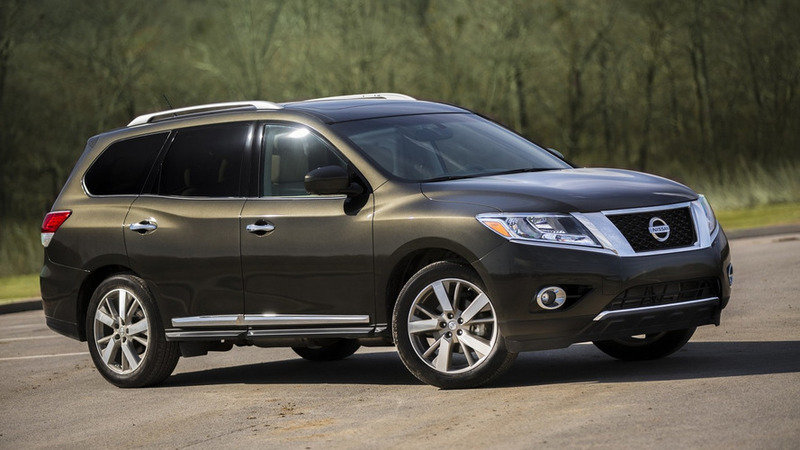 The 2014 Nissan Pathfinder Hybrid will go on sale this summer and is expected to cost approximately $3,000 more than the regular model.